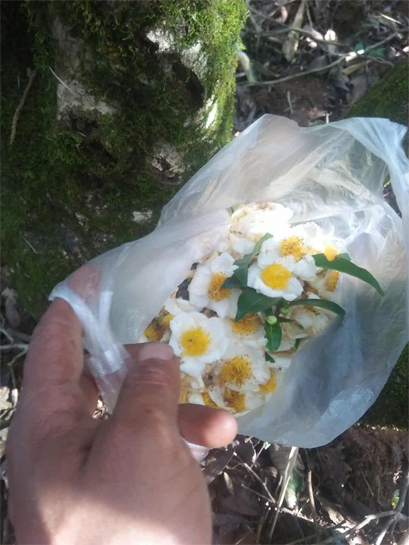 This is the tea flower plucked from the old tea tree in Yunnan mountains by the farmer. The tea trees aged more than three hundred years. Tea flower opens in Winter in China. It has pure white color and fascinating fragrance. 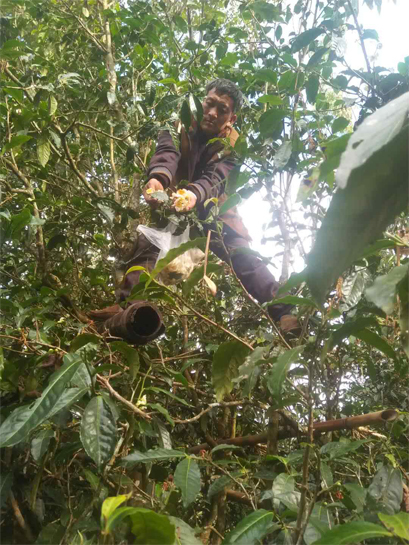 The farmers pluck the tea flowers and dry it naturally under the Sun. 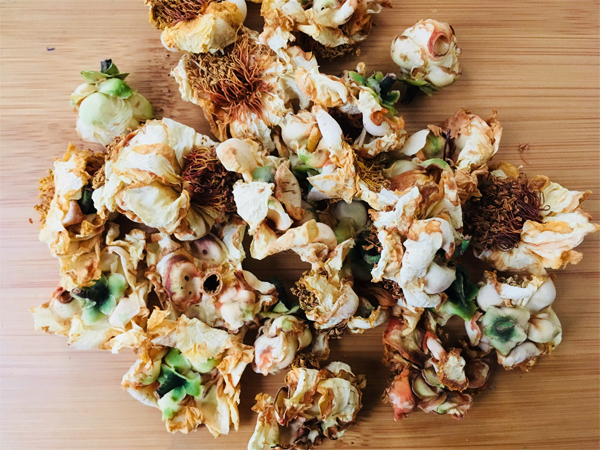 The dry tea flower has very fascinating sweet floral fragrance of Camellia plants and the taste is mellow! (The tea flower made by old big tea tree resource is much better in quality than those from common garden tea). The tea flower can be added to the tea to improve tea flavor, or added to food. And it can also be brewed and drank alone. It has the health benefits of cooling down body heat, stop bleeding (Hemoptysis, Nosebleed, Gastrointestinal blood and Uterine bleeding), and cure burn and scald.